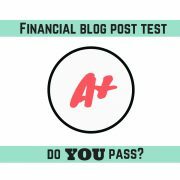 Financial blog post test–do YOU pass? 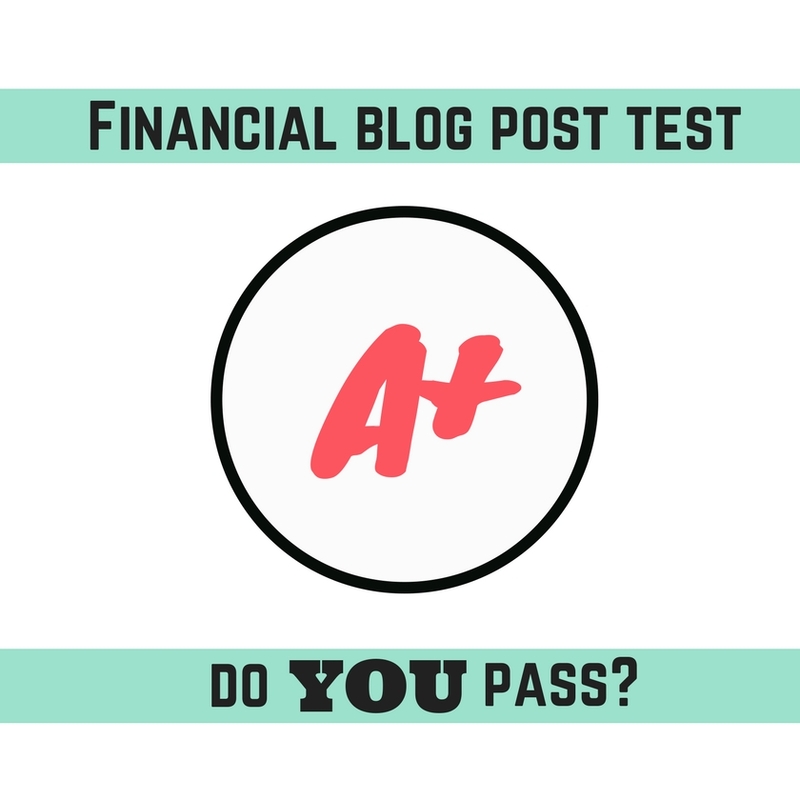 Do your posts pass the financial blog post test? If they do, you raise your odds of attracting clients and prospects. Aim to put “yes” in the check-boxes below. ___ Does your post solve a problem for the reader? Most people who search online are looking for a solution to a problem. ___ Is your topic narrow enough? The people who are searching for solutions want answers specific to their circumstances. If you tackle budgeting tips for everybody, you’ll satisfy nobody. Instead, target people who share characteristics such as age, income, and other characteristics that are important to the challenges they face. ___ Are you addressing a topic that your target audience cares about? Of course, you have to identify your target audience before you can answer this question. Here’s an example of what not to do. Don’t write a blog post about Social Security claiming strategies for an audience of twenty-something teachers who work in a state where teachers aren’t covered by Social Security. It’s wrong in two ways because of your audience’s age and lack of Social Security coverage. ___ Does your title attract readers by appealing to their WIIFM (or by intriguing them in some other way)? ___ After reading your first paragraph, will the reader know the main point that you’re making? ___ Is your post well organized? For example, does it pass the first-sentence-check test? ___ Is your writing reader-friendly? Your writing should be compelling, clear, and concise. You’ll find tips for achieving this in my financial blogging class. ___ Does your post use headings? Headings help to break up your post into manageable chunks. Another way to break up your text and introduce more white space is to keep your paragraphs short. White space makes your posts easier to read, especially for people using mobile devices. ___ Does your post use images, as appropriate? Especially when you share your posts via social media, images help to attract more views. ___ Do you have a plan for promoting your blog post? If you write a great blog post that nobody sees, it does you no good. Plan to promote your blog posts via email, social media, and more. If your writing passes this financial blog post test, you’re in good shape. Congratulations! 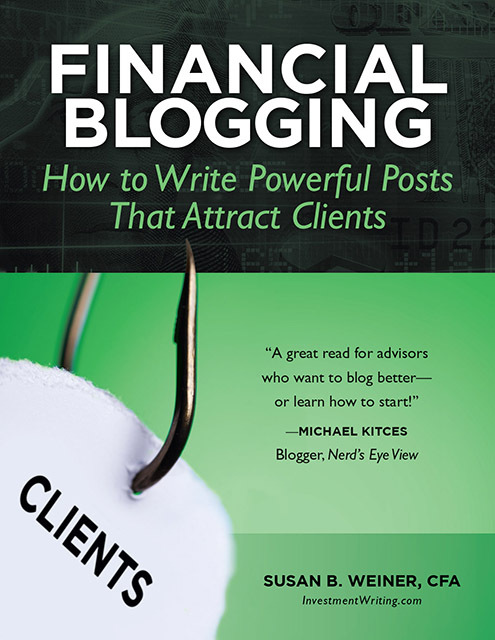 If you think you could improve your financial blogging skills, check out my book, Financial Blogging: How to Write Powerful Posts That Attract Clients, and my financial blogging class, available on-demand. https://www.investmentwriting.com/newsite/wp-content/uploads/2016/12/em-dash-vs-en-dash-oh-my-blog-9.jpg 840 840 Susan Weiner, CFA https://www.investmentwriting.com/newsite/wp-content/uploads/2016/12/investmentwriting_logo_2016.png Susan Weiner, CFA2018-10-09 05:15:222018-09-05 20:17:44Financial blog post test--do YOU pass? MISTAKE MONDAY for October 8: Can YOU spot what’s wrong? MISTAKE MONDAY for October 15: Can YOU spot what’s wrong?